ProExl Diablo Black Cable Sports Magnetic Silicone Bracelet F-16 by Excel Bracelets at Village Green Golf. MPN: 4333865190. Hurry! Limited time offer. Offer valid only while supplies last. Introducing the New Sports Power Bracelet. 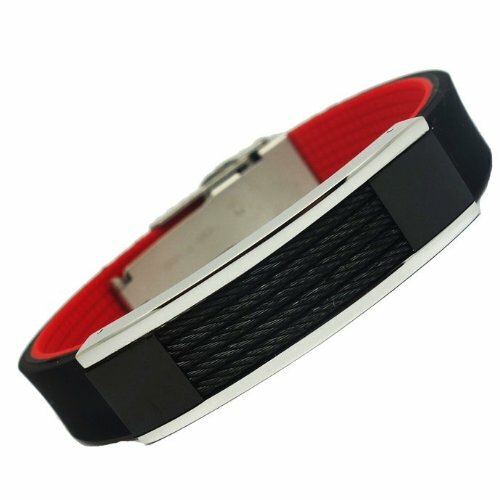 The Sports Bracelet features a high polished Stainless Steel face with inset Black stainless steel Cable. View More In Golf Bracelets. If you have any questions about this product by Excel Bracelets, contact us by completing and submitting the form below. If you are looking for a specif part number, please include it with your message.